Bagatelle Miami is introducing Bacchanal Wednesdays all summer starting July 15, 2015. 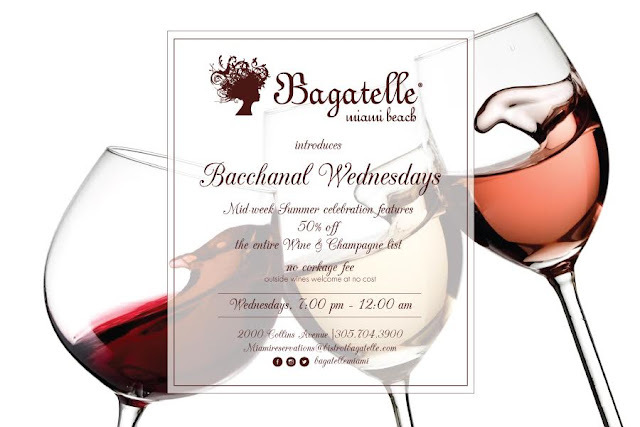 The celebration will feature 50% off the entire wine and champagne list plus no corkage fee for outside wine. It should noted that the chef is Cobaya Miami alum Matthieu Godard who was the chef for experiment 34 at db Bistro Moderne.